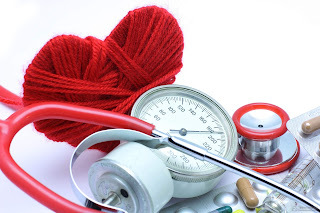 Normal blood pressure should be between 120 (systolic) and 80 (diastolic). By the time blood pressure gets into the 140/90 range, hypertension starts to become an issue. To be sure, hypertension is a huge issue. Worldwide, 12.7% of deaths are attributed to raised blood pressure. The World Health Organization reports hypertension rates are the highest in Africa, concerning 46% of the population. The lowest rates are in the Americas at about 35%. Half the population may just be lucky and have favorable genetics as far as blood pressure is concerned. However, everyone has the ability to do something about their blood pressure and stop more serious complications, like diabetes, from developing. The biggest problem is that more than half the people can’t seem to keep it under control. Medication is the number one way people try to control blood pressure. However, relying on medication is never the most ideal solution for any health complication. Medications tend to hide problems and often cause more problems of their own. Hypertension medications may complicate other factors, such as the risk of falls. Simple methods can go a long way to assisting with hypertension. If you want to feel better and worry less about chronic issues developing, all it takes is a little motivation and discipline. It is not really necessary to become a world-class marathon runner. Simple exercises, like going for a walk or jog for ten or fifteen minutes every other day can still make a huge difference. After all, something is always better than nothing. Weight is the biggest contributor to higher heart rate and blood pressure. Weight around the midsection may make the most crucial difference. Men who have more than a 40 inch waist and women who have more than a 35 inch waist tend to have higher blood pressures than others. What you put into your blood is basically what you will get out of it. For blood pressure, less sodium makes a big difference. Instead, taking in more potassium, which is present in many vegetables, will do a lot to counteract the sodium. As well, other essential nutrients like magnesium and calcium will improve blood pressure. Simple calming activities, like meditation and yoga, will do a lot to reduce blood pressure. Considering your schedule and cutting out a few highly stressful activities in favor of just hanging out with friends or watching a funny movie goes a long way toward a healthier heart. Limit alcohol, smoking and caffeine. All things in moderation are a good idea. These social demons are not entirely bad for blood pressure as long as they are overdone. Particularly the older a person gets, the less smoking and drinking will help your blood pressure. Keeping track of your condition makes it easier to know when to see a doctor or when to lay off the junk food and ramp up efforts to take care of your heart’s health. The biggest problem with hypertension is that it is known as a “silent killer.” Knowing that you have a problem is the first defense to fighting it.